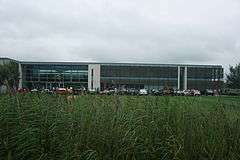 Officially opened for business on 1 January 2003, the plant has been expanded twice since, and now covers 22,500 square metres (242,000 sq ft). It presently employs 800 workers, half of whom are employed in the wood and leather shops. The plant reached a record production figure of 15 cars per day in June 2010. After BMW bought the rights to the Rolls-Royce brand as applied to motor cars from Vickers plc, it required a new manufacturing plant in which to build the new cars. Rolls-Royce cars had until this time had been built at the Crewe plant, but both the plant and the Bentley brand were owned by Volkswagen Group. 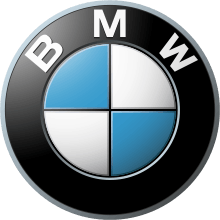 BMW came to an agreement with the Earl of March to buy a greenfield site on his Goodwood Estate, near Chichester, West Sussex. The original plant, located close to Goodwood Circuit and Westhampnett village, was projected to cost up to £200M, resulting in a plant employing circa 350 people capable of making 1,000 cars a year. BMW engaged architect Sir Nicholas Grimshaw, the architect of the Eden Project in Cornwall, who penned a £60M building. Designed to fit into its environment, the plant is unable to be viewed from the road, in part thanks to a 3.5 ha "living roof" made of sedum plants, the largest in the UK, where breeding pairs of skylarks have nested. Other features that help the property blend in with the countryside was the planting of 400,000 trees and shrubs, as well as cedar cladding on the buildings. The plant is situated in an Area of Outstanding Natural Beauty, which will make further expansion difficult for Rolls-Royce. 1 2 "Rolls-Royce - Made in Sussex". Sussex Life. October 25, 2010. Retrieved 2010-11-19. ↑ "Production at Rolls Royce plant in Chichester, the highest it's ever been". Cars for the Stars. July 26, 2010. Retrieved 2010-11-19. ↑ "Rolls-Royce: Technology and craftsmanship". BBC News. 2 January 2003. Retrieved 2010-11-19. ↑ "Glorious Goodwood for Rolls factory". BBC News. 30 May 2000. Retrieved 2010-11-19. ↑ "Rolls-Royce factory goes green". The Daily Telegraph. 3 September 2001. ↑ Raynal, Wes (April 18, 2011). "Like a Good Neighbor". AutoWeek. 61 (8): 20. Wikimedia Commons has media related to Goodwood plant.